I’m a bit of a Terence Rattigan fan. I’ve enjoyed watched Flare Path, The Deep Blue Sea, (copious times but I imagine that may also have been for another reason!) 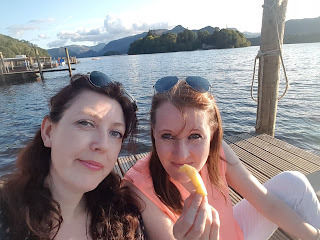 When the Sun Shines, French Without Tears & Love in Idleness; so I was delighted to see that Theatre by the Lake were putting on a production of After the Dance, one of Rattigan’s lesser known plays. Unlike many of his other works, whilst After the Dance was a critical success it was a major failure with audiences; it closed within two months of opening in 1939. 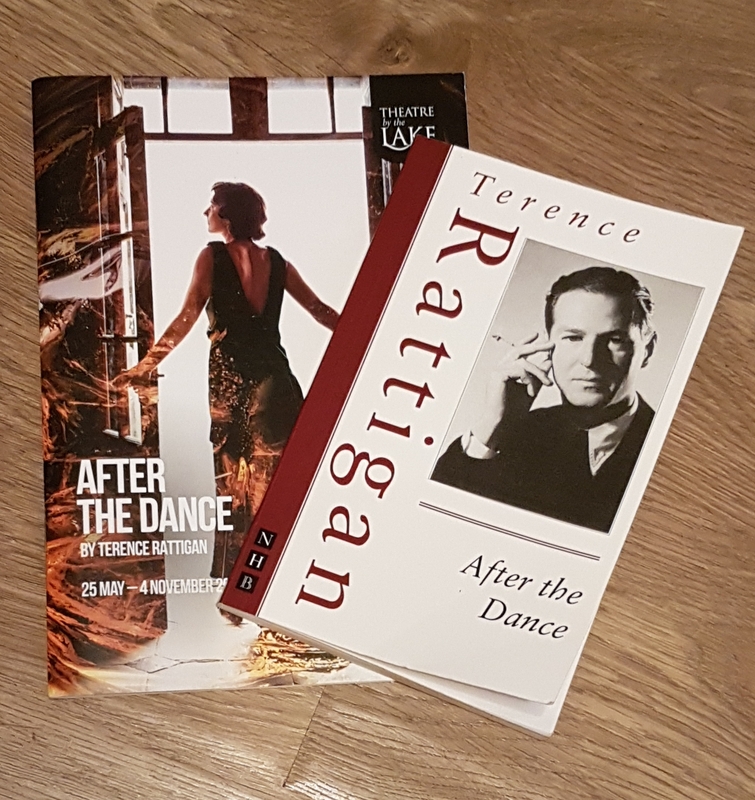 Rattigan had dropped out of college to become a full time writer, a move which had led to him to making a deal with his father; he could live at home and write for two years, but if by the end of that time he had had no success he would take up a more respectable profession. As the months rolled on Rattigan became more and more desperate as each project he immersed himself into came to nothing. Rattigan had penned a play about his time at a French boarding school entitled Gone Away, but no-one wished to produce it. A stroke of luck appeared when one of Donald Albery’s productions was losing money and he needed to pull the show and replace it with something else. Rattigan’s Gone Away was cheap to produce as it required only one set and a limited cast, but Albery hated the title. It was renamed French Without Tears, and an unexpected success materialised. 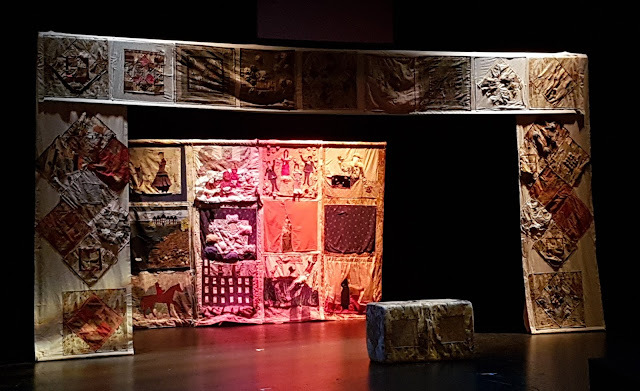 Audiences loved it, including The Times! It ran for three years, earning Rattigan £100 per week, and he set forth spending his money with gusto. The problem with success is how to follow it up. With the outbreak of war, Rattigan’s next two plays failed dismally. After the Dance failed to engage audiences who were worried about the crisis in Europe and Follow My Leader, a farce based on the rise of Hitler was banned from production. Rattigan became insecure about writing and visited a psychiatrist for help. The answer was to join the RAF, which should ease his mental block! Bizarrely, from his experiences in the RAF Flare Path was born; it was the first Rattigan play I ever saw staged, and the one that created the desire to watch all things Rattigan! 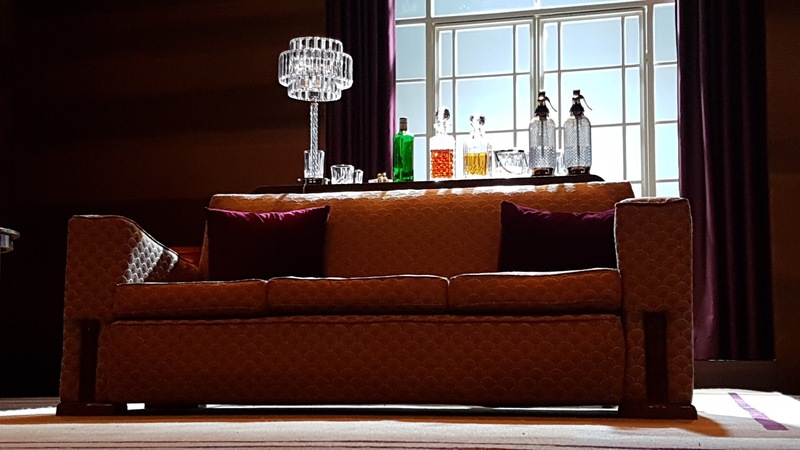 The play opens on John Reid (Matthew Mellalieu) lounging around in his silk pyjamas with a large G&T in hand for breakfast! He lives in David and Joan’s flat, seemingly with no cares in the world. He has always held a candle for Joan, and they still try to live the flamboyant booze fuelled nights of their youth. The younger, less exuberant new generation of youths is found in David’s cousin Peter (Adam Buchanan) and his fiancée Helen. David’s excessive drinking has caused cirrhosis of his liver and the moralistic Helen (Charlotte Hamblin) is very clear about why he needs to stop drinking and trying to still live his youth. It soon becomes apparent though that Helen’s concern for David is turning into love. This love is reciprocated, and soon Joan learns of David’s desire to divorce her and marry Helen. Joan is secretly distraught. Izabella Urbanowicz is glorious as Joan, seemingly never one to let life get in the way of a glitzy party, but showing just a tiny hint of wistful regret to how her life has panned out. She puts a brave face on the demise of her marriage, organising another one of her parties with great gusto. Only John knows how much she really loves David and how his actions have caused her so much pain. With the party is in full swing Joan quietly and without fuss slips away. As time marches on, David’s attempts at sobriety are waning. In a startling twist, John finally stops his sloth-like behaviour and confronts David with a few home truths about how Helen may soon head down the path of oblivion as Joan before her. 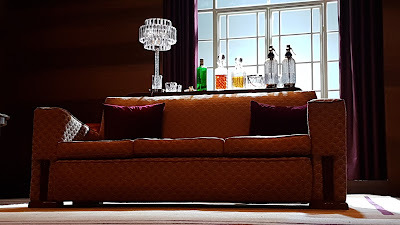 As the curtains close, David can be seen pouring himself a drink, foretelling a long slow death ahead of him. This play was a complete change for Rattigan. Not the light-hearted moments of French Without Tears, but a glimpse into the workings of the human heart and how people put that stiff upper lip on matters of great importance. As Rattigan’s career grew, he became a man with a great insight and understanding of the human condition. It is a great shame that French Without Tears was not a success with the public. It closed after only 60 performances and Rattigan became dismissive of his play, not allowing it to be published in his Collected Plays. The BBC revived After The Dance in the 1990s when they did a series of stage plays, again it received great critical acclaim. It showed that it was a play that had stood the test of time – its themes still as resonant now as it was then. It was a personal joy to see Theatre by the Lake resurrecting one of Rattigan’s lesser known pieces and it was a night filled with laughter, joy and despair. All of the performances were excellent and I was particularly amazed to see Charlotte Hamblin, James Sheldon and Izabella Urbanowicz carry out such heartrending performances after having seen them the night before in another emotionally charged drama, Miss Julie. This is a play with many different, complex relationships and it shows how life’s dilemmas can take their toll on people of all classes. 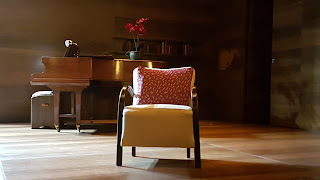 It was beautifully staged and a real gem of a Rattigan play. 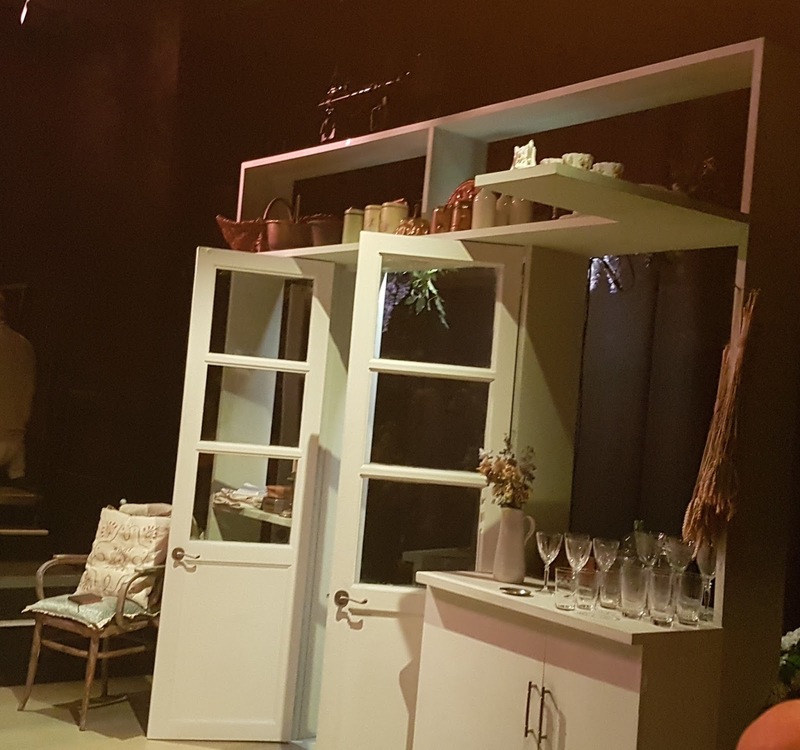 After the Dance runs at Theatre by the Lake until Saturday 4th November. Written in 1888 by the Swedish writer August Strindberg, this “Naturalistic Tragedy” focuses on the tale of Miss Julie and two of her servants Jean and Kristin. 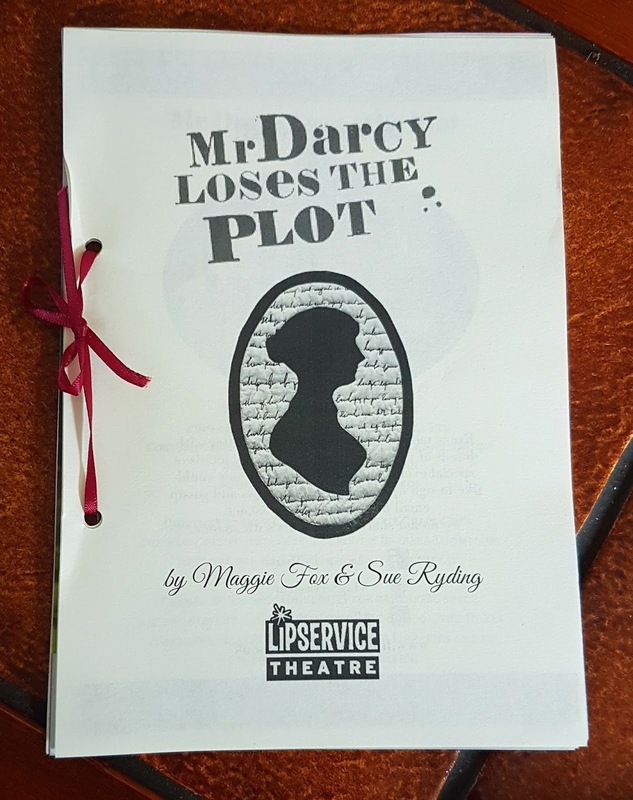 To understand the play, it is perhaps wise to try to understand a little bit about the writer first. 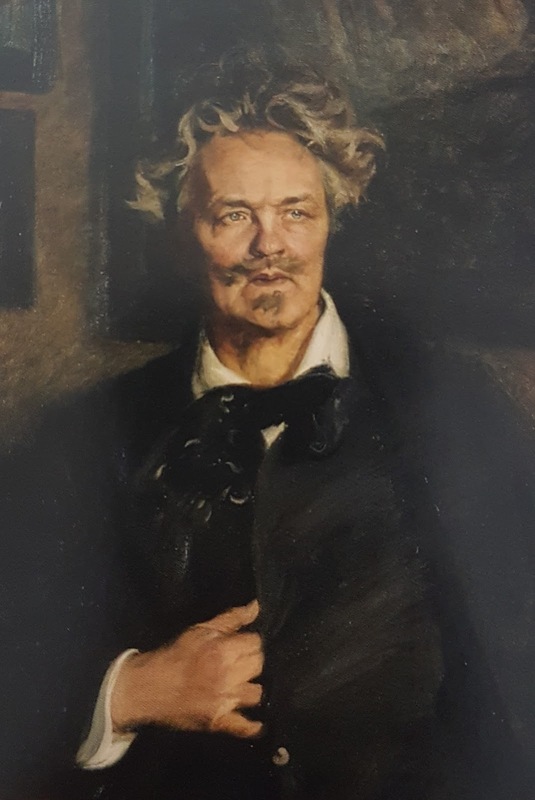 August Strindberg was born in Stockholm in 1849. His mother died when he was 13, his father remarried and he hated his stepmother. He attended the University of Uppsala and had various jobs, working in newspapers, teaching and libraries. He tried and failed as an actor, and his early attempts at writing were met with rejection. He married the actress Siri von Essen in 1877 and he achieved his first critical success with his satirical novel The Red Room in 1879. In 1882 he wrote The Swedish People, attacking the nation’s values and earning himself many enemies. In 1883 he moved to France yet his writings still continued to cause outrage in his homeland. In 1887 he moved to Germany and a year later to Denmark where he wrote Creditors, Miss Julie and The Stronger. Strindberg returned to his homeland in 1889, where he later divorced Siri. He moved back to Germany, marrying an Austrian journalist Frida Uhl in 1893, but they separated just a year later after the birth of their daughter. What lay ahead of Strindberg was many years of paranoia and mental anguish, most likely attributed to the overindulgence of absinthe. Towards the turn of the century he resumed his writing career, once again returning to Sweden to do so. He married his third wife, a young Norwegian actress whom he divorced three years later. In 1907 he fell in love with a 19 year old, Fanny Falkner, and died in 1912 of stomach cancer. His attitude towards women and life in general was complicated. He was a man of many contradictions. He was a nihilist filled with romantic ideas, an atheist and socialist, he was interested in the aristocracy, yet empathised with the lower working classes, and he held a long-term love/hate relationship with his homeland. He loathed feminism, but he was so obsessed by women, you could say that he loved them as much as he hated them. It is little wonder he never held onto a marriage for long and was convinced that happiness was an impossibility of life. 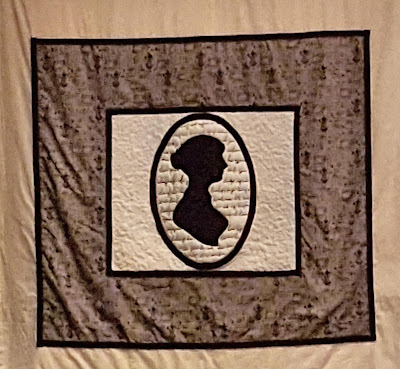 His ongoing pessimistic attitude to life is shown in his works, and Miss Julie, written when his relationship with his first wife was drawing to an end, shows his hatred towards the aristocratic classes. The thing that most struck a chord when reading the text for Miss Julie, was the authors preface. It is unusual for a play to have such a long explanation levied on it, but it shows the thoughts flowing through Strindberg’s mind and his attitude to the theatrical audiences who were likely to see his work. 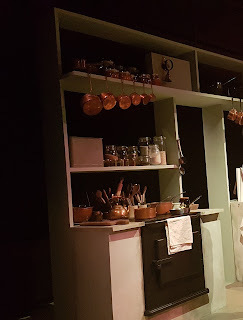 Miss Julie takes place in the kitchen of a nobleman’s house one Midsummer’s Eve. The servants are having a party in the barn next door, and Miss Julie, the noblemans daughter, has been dancing with them all whilst her father is away visiting relatives (Miss Julie having refused to go with hum.) She has broken off her engagement having humiliated her fiancé, and has now turned her attention to Jean, the valet. He does not think it right she should show favour to one servant, however he agrees to go back to the barn with her. He returns to the kitchen to tell the cook, Kristin that Miss Julie’s behaviour is shocking. Miss Julie returns to the kitchen to demand that Jean changes from his livery into his plain coat, Kristin, ignored by both slips quietly off to sleep. Jean and Miss Julie tell each other of dreams they have had, but Jean warns Miss Julie of the dangers of playing with fire. When she asks if he has ever been in love, he admits to being in love with her. She begs him to take her away from this life and to a new one, but soon realises that she is just the first rung of the social ladder Jean intends to climb. 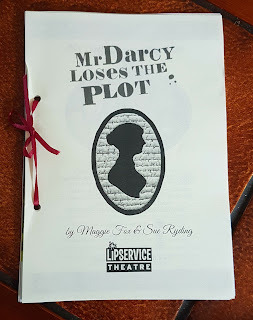 He has taught himself French, and learnt the ways of the world from visiting the theatre, she realises that he thinks he is above her station, and that her attitude makes her below her own. 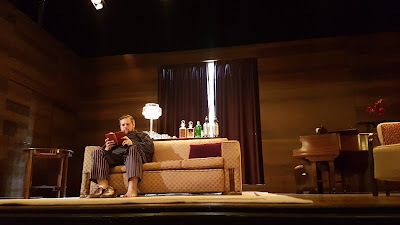 Howard Brenton’s adaptation of Strindberg’s text keeps as close to the original Swedish text as possible, keeping alive and the dark and light of Strindberg’s twisted mind to keep the audience entertained and shocked by the brutality of the situation. 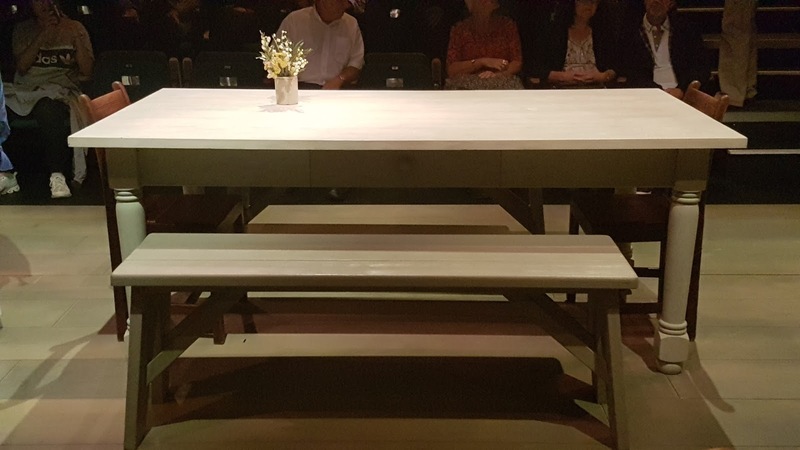 Strindberg showed with great clarity the flawed nature of human beings, and those flawed characters are brought to life with highly engaging performances by Charlotte Hamblin, James Sheldon and Izabella Urbanowicz. 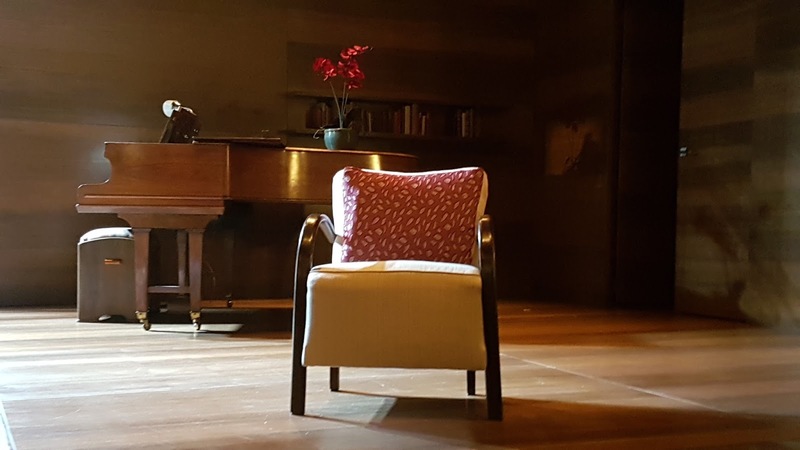 Whilst the set retains the period setting of Strinberg’s notes, the production still resonates with a modern audience as it did when first performed in 1889. There may have been a shift in class relations (no longer the upstairs downstairs of the aristocracy and servants) but there are still great social divides and inequality in society that destroy modern day relationships. 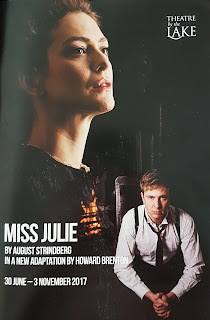 Miss Julie allows us to question these dividends in a more romantic setting, where church bells ring in the distance, servants dance the midsummer night away in a hay strewn barn, and birdsong reminds you haven’t been to bed yet! The production starts with simple domestic task, Kristin is at the stove cooking, but by the end of the performance the pristine kitchen will show the remains of a booze fuelled night of passion and tragedy. Initially, Miss Julie is the mistress of the house, in control and not afraid of outright flirtatious behaviour with her father’s valet. 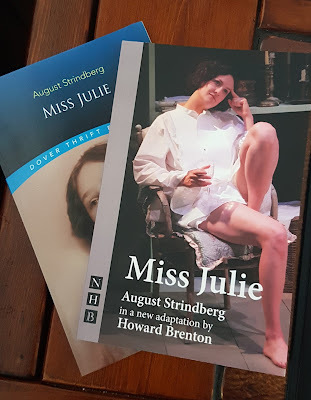 It’s all a different story after she has gone to bed with Jean however, no longer in control, Hamblin’s portrayal of Miss Julie becomes something akin to the wild child of the eighties, drink in hand pertaining to be the victim! The intensity of Miss Julie is offset by the quiet, reserved dignity of Urbanowicz’s Kristin, as she bears witness to the infidelity of her fiancée Jean. No screaming or shouting, just a poised announcement that she is going to church and that she will tell the grooms as she passes, not to allow the horses out so that Jean and Miss Julie cannot make a bid for freedom. Sheldon’s performance of the valet Jean has the light and shade of a man who resents his station; not only a servant, but servant to a woman. He dislikes being told what to do by her, but at the same time, his desire for her takes over. Kristin was an easy future, but it was Miss Julie who ignited his passion. It’s the first time I have ever seen an audience member hand an ASM £20 after a performance saying “You should all have a drink on me. That was incredible.” I think that pretty much sums up the evening’s performance. If you cannot get to the Theatre by the Lake, Keswick (and you should try – really) Miss Julie transfers to the Jermyn Street Theatre, London in November. Chips by the lake before watching Miss Julie!